1. 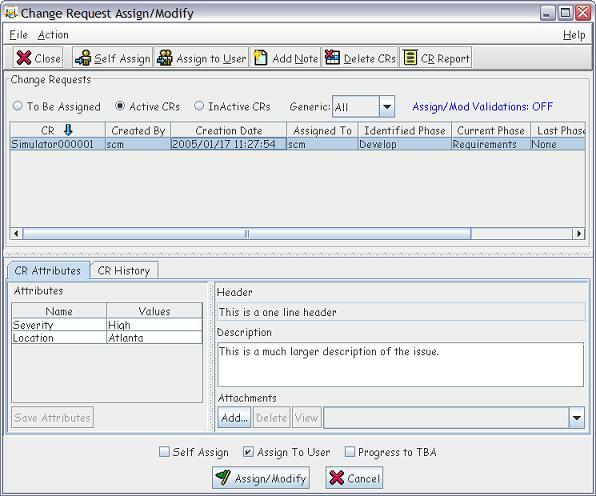 Once the CR has been created, it must be assigned to a user for work to be performed on the files in the Generic/Release. 2. 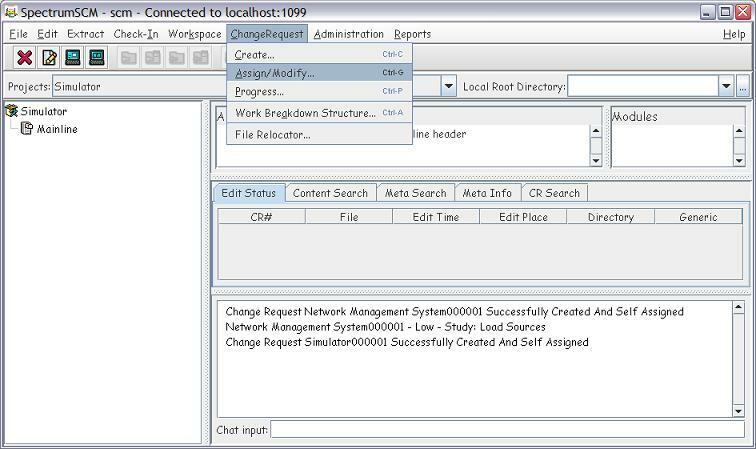 This screen is the screen used by the Generic Engineer or others with the appropriate permissions to assign CRs to individuals for work, whether that work be for development, testing or even documentation. 4. 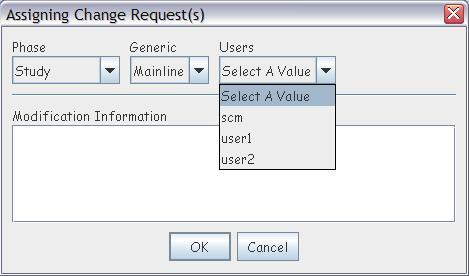 Select from the list of radio buttons, To Be Assigned, Active CRs or InActive CRs. This will populate the CR table. 5. Select the CR from the table. 7. Click on the Assign/Modify button. 8. Additional information may be entered into the Modification Information field. 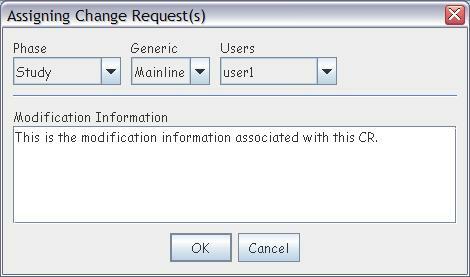 Select the id to assign this CR and click OK.
9. Click on OK and the CR will be assigned to that user. 10. You will be notified that the Change Request was assigned correctly.